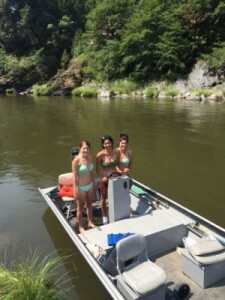 This has been a really good season for us along the Klamath River. I’m guessing we have seen more members around Happy Camp than during at least the past 10 years or longer. Each of our Weekend Group Mining Projects have had in the neighborhood of 100 or more participants out enjoying exciting rafting trips to reach probably the largest and richest surface gold mining deposit we have found in 30 years. Our Saturday evening potlucks have been well attended, sometimes filling the Happy Camp Grange hall to capacity. We have had a lot of fun; and we have sent hundreds of beginning-gold prospectors away with the first gold they ever found. 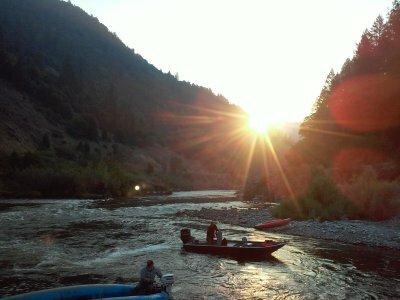 While California State officials have hassled a few of our members who have been suction dredging, in the wake of several ground-breaking court Decisions in favor of our industry, the State has not filed a single case against any of our members along the Klamath River or its tributaries until the end of our season (please see more below). Most members who were dredging for gold were not bothered by State officials. Something that we have not seen in a long time is members taking an interest in our more remote properties; the ones you need to hike into. 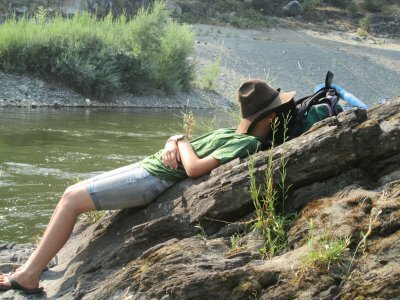 Here’s another new thing: Some of our members and their friends are hiking and camping way out into the wildland areas in the headwaters of the Scott River, Elk and Indian Creeks; places where nobody has set foot in many years, if ever. Some of these guys are coming back with stories which border on unbelievable, or at least unexplainable, encounters with Bigfoot. The encounters are happening too often, and in too many places, to just discount as wild imagination. For example, Gabe Garrison was recently on an extended hiking/camping trip with two New 49’er members into the headwaters of Indian Creek in search of an old historical gold mine. They were way out in the wildlands just a mile or two from the Oregon Border. Shortly after setting up camp one evening, something started a landslide from the high peaks just across the canyon. They didn’t think much about it until a little while later when they heard a distinct signal just out of sight a short distance away. The signal was unmistakingly from two sizable pieces of wood being banged together; a noise that was clearly not from natural causes. Just a little while later, a similar banging signal came from just out of sight on the other side of their camp. Each of the guys agreed the signals were originating from an intelligent source. Yet they were in a place so far away from civilization that they were completely certain there were no other human beings around. Beside the signals, they heard no other unusual noise. Just after dark, another dramatic landslide was triggered from the other side of the canyon. They all had the uncomfortable perception that they were being watched and warned to leave. Heavily armed (which is always a good idea when venturing into the wildlands); they spent that night in camp and returned home the following day. While they did not find the historical gold mine, they found enough mysterious adventure to last a lifetime! Longtime New 49’er member and resident of Happy Camp, Doug Robinson was one of the guys with Gabe on that hike. But Doug has had other mysterious encounters while gold prospecting in a remote canyon in a location which he would prefer not to disclose. This is a sure sign that he has found a good gold strike up there! Doug says the encounters have been with intelligent forces that never allow themselves to be seen. One time, he was rushed from behind by something alarming enough to spin around and draw his gun. He found himself yelling out to whatever it was that he was prepared to use his weapon. Going back to investigate, he could not find any sign that anything even made the noise. Doug says he has heard the bang, bang, bang signal in his secret canyon. He says there is no doubt that it is a signal coming from an intelligent life form, but he can never find the source. 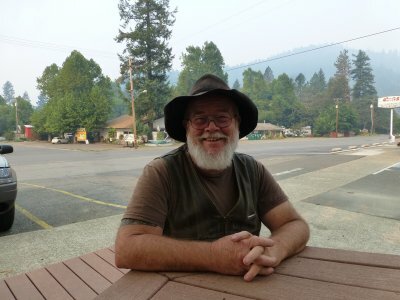 Dickey Melton, also a longtime New 49’er member and Happy Camp resident, is yet another prospector who enjoys prospecting in the more remote areas. He says he has had several encounters in different locations with some kind of very powerful intelligent sources that seemed to be trying to scare him away. 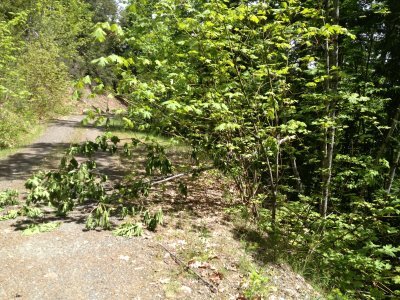 In one place, up on our extensive East Fork of Elk Creek property, just after the gate was opened for summer access this spring, Dickey and his wife, Cherie, took a drive up there to prospect around – only to find the road blocked in several places by some form of intelligence. In one place, the top of a tree had been ripped off and thrown across the road. Dickey didn’t think much about it until he realized there was no possible way the treetop could have landed on the road by any natural cause. Upon further inspection, he found claw marks on the tree stem; similar markings that a bear would leave to mark its territory. But no bear dragged this treetop up the slope and onto the road! There were other barriers engineered by some intelligence further up the road. Yet there were no tire tracks and no foot prints. How do you explain this? Does Bigfoot live near Happy Camp? Perhaps Dickie’s most compelling encounter is when he was prospecting up on our Indian Creek Claim near West Branch Campground. He was not satisfied with the way the creek was flowing over his sluice box, so he walked a ways upstream looking for a more favorable location. Then he heard a huge crash just behind him. Spinning around and startled, he saw that a sizable tree had fallen across the creek. Cautiously going back to investigate, he could not see any reason why the tree had fallen over. It was well away from the creek. The tree was healthy. The only plausible answer was that something very powerful had pushed it over. While there was no sign that any physical presence had been there, Dickey says there was an odor in the air that he had never encountered before. A distinct odor has been acknowledged in many Bigfoot encounters around the world. 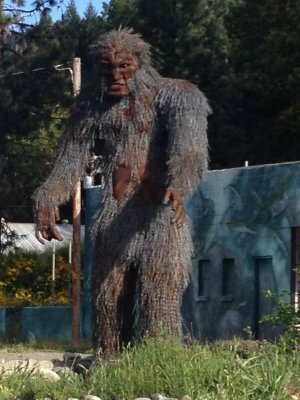 It is not by accident that a large statue of Bigfoot is the center piece attraction in uptown Happy Camp, just down the street from our headquarters. Bigfoot sightings and encounters near Happy Camp go way back in time. Even local Indian tribal history makes reference to encounters with this strange, intelligent, powerful creature that seems to have the ability to appear and disappear at will. While the creature clearly attempts to frighten human beings away from its territory, to my own knowledge, fortunately, there is no history of Bigfoot attacking, harming or killing people around Happy Camp. This is a good thing! There is something very mysterious in all this. On the one hand, there have been Bigfoot sightings all over the world, even in the arctic. But no bones have ever been found to confirm its existence. No Bigfoot has ever been captured. How do we account for this? I suggest we should not be so bold as to discount things that we do not yet understand. In closing, here is a video that captured a Bigfoot sighting not very far from Happy Camp. If you are not up for wild adventure, I suggest you contain your prospecting activities to our extensive properties which remain on the more beaten path. A new office management position is opening in our administrative office. This is largely because of the growth we have experienced during this past year, along with anticipated growth during the coming year. Note that we have never hired a person on a part time basis that did not quickly evolve into full time work. The position is perfect for someone who would like to settle in Happy Camp. The person should have some office management experience, should have an understanding of business accounting principles, and should have a good working knowledge of Microsoft’s Excel program. For more information, please contact either John Rose or Montine Blevins in our office at 530 493-2012. New Adventure Book puts us in a Good Light! 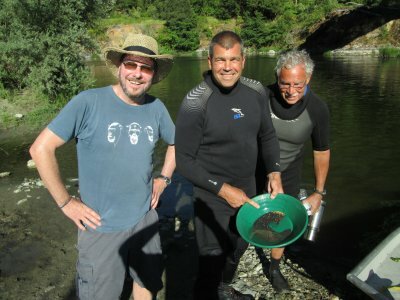 We met British journalist Steve Boggan on the Klamath River a few years ago, shortly after the price of gold had peaked at $1,900 per ounce. Excited by the opportunity of striking it rich – and maybe because he had just turned 50 – Steve simply packed his bag, got on a plane from England and flew to California to find some gold for himself. Steve’s gold mining adventures found him traveling through some of the most interesting, historical gold prospecting locations in California, eventually to arrive in Happy Camp. This all happened a few years ago when we came up with a whole new method of motorized underwater suction mining which was not restricted by California’s dredging regulations at the time. In fact, Steve’s first exposure to The New 49’ers was in Siskiyou County Superior Court, overflowing onto the street with our members and nearly the entire business community of Happy Camp, at the very moment the judge issued a Temporary Restraining Order (TRO) against the State which pretty much allowed us the remainder of the season to suction mine within the waterways along our extensive mining properties. Rich Krimm and I devoted a big part of that season sucking up gold nuggets on our K-25A property. Rich and I agreed to take Steve under our wing while secretly plotting to scare the dickens out of him every step of the way. He writes fondly in his book about those fun and exciting adventures, along with interesting tales of his other gold mining adventures in California in a way which places a very positive outlook on our industry. The book is called, “GOLD FEVER: One Man’s Adventures on the Trail of the Gold Rush.” The book has just been published in the United States and is getting great attention. 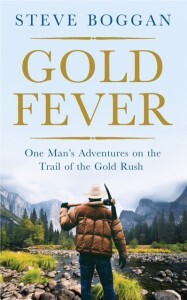 GOLD FEVER was chosen as a BBC Book of the Week and Steve has been interviewed by USA Today, NPR, and National Geographic talking about his time prospecting in California, and especially his time at Happy Camp and with The New 49ers. 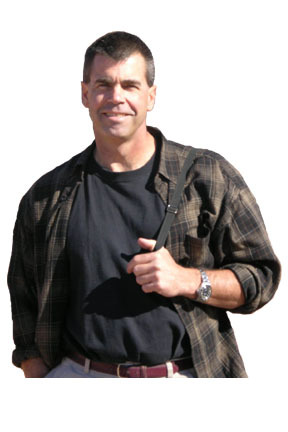 In all or most of these interviews, which are circulating amongst millions of viewers and readers, Steve puts our New 49’er program as the Number One small-scale gold mining opportunity in California. Since Steve has given us so much positive coverage, I suggest we should all read his tales about the modern-day gold rush. EXCLUSIVE FOR SUBSCRIBERS TO THE NEW 49’ER NEWSLETTER: Steve’s publisher has agreed to offer an exclusive giveaway of Steve’s book – GOLD FEVER (Hardcover, $24.99 retail) – to our first 10 newsletter subscribers (US residents only) who send an email to marketing@oneworld-publications.com. Please enter the giveaway! You can check out Steve’s book on amazon for more information. The Rinehart case is waiting for a Decision by the California Supreme Court. You may recall that the California Third Appellate Court found unanimously for suction dredgers in Rinehart. Several large-scale conservative natural resource advocate associations have supported our arguments to the California Supreme Court. At the same time, several prominent anti-resource development organizations and individuals have weighed in against small-scale mining. Just to give you an idea how important this case is, even the Obama Administration just filed a brief opposing the rights of small-scale gold miners on the public lands! Our attorneys are busy rebutting those briefings. We will just have to wait until the California Supreme Court weighs in. My sources tell me that the California Supreme Court bases its rulings mostly upon U.S. Supreme Court controlling Decisions. If this is true, we are likely to win. From that, we should be able to roll back the State’s determination to impose unreasonable overregulation upon suction gold dredgers. Stay tuned! In a separate set of cases, we have switched gears into appealing San Bernardino Superior Court’s recent Ruling to deny any meaningful relief to suction dredgers even after the court has Ruled and Ordered that California’s suction dredge moratorium is unconstitutional — which State authorities continue to enforce by seizing dredging equipment they find on the river. As you may recall, our initial Motion for a Statewide Injunction to prohibit California from enforcing the unconstitutional moratorium and return us to the earlier set of regulations that were legal was recently denied by the Superior Court of San Bernardino. We believe that Ruling was flawed, and have now appealed to California’s Forth Appellate Court to get our motion approved. As you will see from the link just above, our appeal is being bitterly contested by anti-mining activists. There is a legal provision in California which requires appeals of denied injunctions to be expedited when ongoing circumstances are causing irreparable harm to people who are 70 years or older. A bunch of our 70+ year old members have come forward with Declarations in support of this appeal. 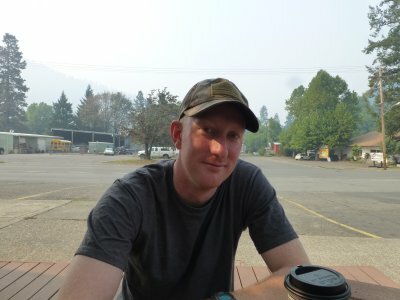 And in a more recent, surprising development, New 49’er members, Derek Eimer and Dyton Gilliland were both notified last week that the State will attempt to criminally prosecute them in Siskiyou Superior Court (suction dredging in California without a permit). The first hearing date is set for 22 September, but it will just be a formality. Both members are being defended by our attorney, James Buchal. I believe he will file a motion to dismiss the charges, since the Decision has already been established in the California Courts that California’s “scheme” of first requiring suction dredgers to acquire a permit, and then refusing to issue them, is preempted by federal law, is illegal and unenforceable. We were hoping for this criminal contest in Siskiyou County during the spring; but we will take what we can get. In view of recent California Decisions on these matters, I predict the possibility of a conviction (guilty beyond a reasonable doubt) is about zero. With just a little luck on our side, the judge will dismiss the charges and tell the State to not bring any more. Notwithstanding the other ongoing cases, this might open the door to hassle-free suction dredging in California. Meanwhile, just in case you do not know, this ongoing conflict with California only affects motorized suction mining within 100 yards of California’s active waterways. It does not have anything to do with the other types of prospecting or mining that we do in California. Unaffected prospecting activities include panning, sniping & vack-mining, sluicing & high-banking, electronic prospecting and other types of prospecting that do not use a suction nozzle within 100 yards of an active stream, river or creek. It also does not affect our Group Weekend Projects. There are no seasons imposed upon these other types of mining activity. In other words, you can do them at any time of the year. 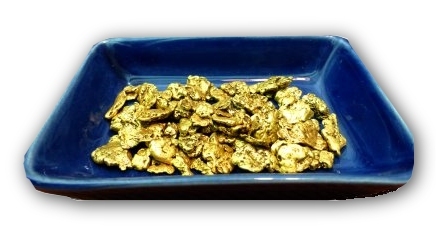 The new drawing will be for two ounces of beautiful gold nuggets. Those will be split into a 1-once grand prize and four quarter-ounce prizes. There will also be 10 tenth-ounce American Gold Eagles and 10 American Silver Eagles. That’s 25 prizes worth winning! The drawing will take place at the close of business at our headquarters in Happy Camp on Friday, 30 October. You do not need to be a member of our organization to participate. You are welcome to be at the drawing, but you do not need to be present to win. Our office will automatically generate a ticket in your name for every $10 legal contribution we receive ($100 will generate 10 tickets). There is no limit to the size or frequency of your contributions, or to the number of prizes you can win. Look for our new Paypal contribution link here. Remember, all contributions to The New 49’ers Legal Fund are tax deductible. Once again; thank you guys very much for standing behind us! Annual Dues: As many of you noticed, we bill all Full Members for $50 annual dues in August. September through the end of the year is when we must shoulder the load of substantial property tax and filing fees to the County and Bureau of Land Management in order to maintain control over a very substantial number of federal mining claims (60 miles of gold-rich river and creek properties). Thank you very much to those of you who responded immediately. Thank you also to those of you who will help us maintain our extensive properties, which provide the backbone of our Association! Ending the 2015 season with a song & dance! Just because the office is on winter hours does not mean that members cannot actively prospect on our properties. There is a 24-hour emergency number on our Contact page to reach our Internal Affairs in the event of a serious problem or emergency: (510) 681 8066. We strongly encourage you to sign up for the free on line version of this newsletter. The Internet version is better. This is because you can immediately click directly to many of the subjects which we discuss; because the on line version is in full color; because we link you directly to locations through GPS and Google Earth technology; and because you can watch the free video segments which we incorporate into our stories. Actually, the video segments show the adventures better than I can write them! Signing up also places you on our Political Action Team. Things happen so fast these days; it takes too long to organize political action through the U.S. mail. As an example, by contacting our supporters this way, in a matter of hours, we recently generated a large bundle of letters to the California Supreme Court. All of these future battles will be organized over the Internet since it is so much faster. Please join us in the battle to maintain our remaining freedoms! Note: You are free to unsubscribe anytime just by clicking a link if you decide to do so.